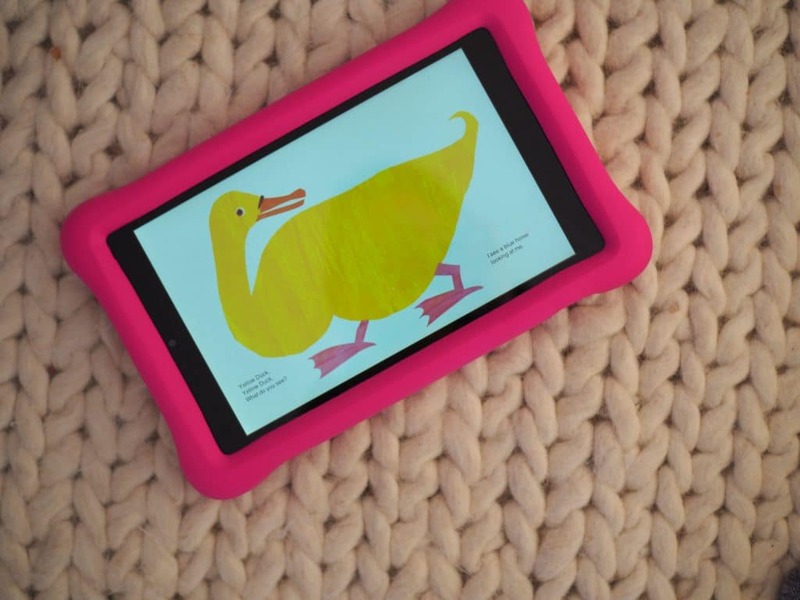 One question I get frequently from other parents is: “what tablet would you recommend for kids?” For a long time, I wasn’t really sure of the answer, because I hadn’t found one that I really thought was kid friendly and useful. I was also hesitant to recommend a tablet at all because I was still really unsure about how to manage screen time for kids, little and big. 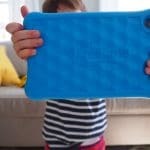 Then we tried the Amazon Fire Kids Edition tablet and I found one I am 100% comfortable recommending. We’ve now been using the Fire Kids Edition tablet for six months and I feel confident in saying that I would highly recommend it as a holiday gift for kids. Not only is it a great tablet, using Amazon FreeTime has been a game changer in feeling ok with screen time for me. Fire 7 Kids Edition tablet – Available for $99.99. 7” IPS display, 16 GB of storage with up to 256 GB of expandable storage via a microSD card slot, up to 8 hours of battery life. Fire HD 8 Kids Edition tablet – Available for $129.99, This one is Amazon’s best-selling kids’ tablet. It features an 8” HD display, 32 GB of storage with up to 400 GB of expandable storage via a microSD card slot, up to 10 hours of battery life. 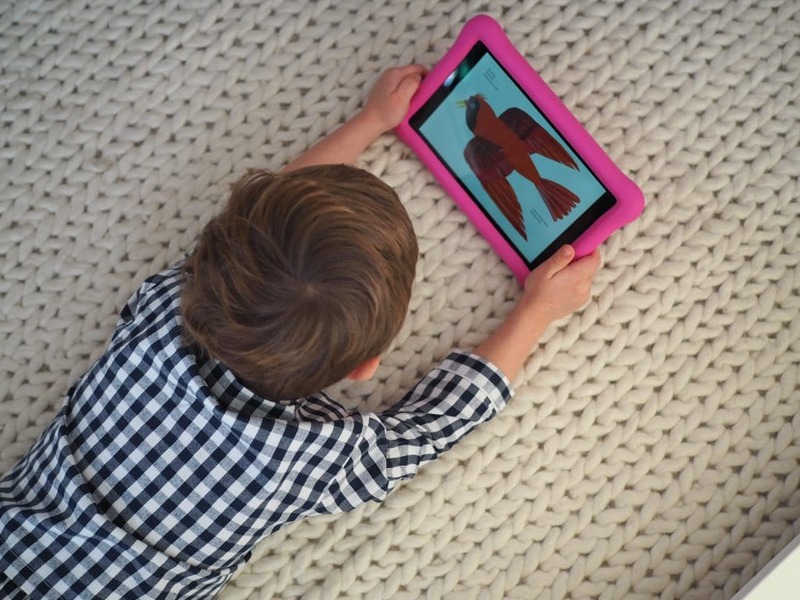 Fire HD 10 Kid Edition tablet – Available for $199.99. It includes a brilliant 10.1” 1080p Full HD screen, ultra-fast processor, 32 GB of storage with up to 256 GB of expandable storage via a microSD card slot, up to 10 hours of battery life. They come with a two-year worry-free guarantee. If the kids break it, send it back and Amazon will replace it. No questions asked.Your 4 year old drops the tablet in the toilet? Covered. It comes with one year of Amazon FreeTime Unlimited. 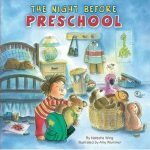 This includes the parent control features (details on that below) AND gives kids unlimited access to over 20,000 books, videos, Audible books, educational apps, and games that are age-appropriate and hand-curated by the FreeTime team. SO it looks like a little app store but everything is included AND actually kid friendly. If they’re on WiFi they can read all of the books, play the games etc. If they have a favorite and you’re heading out, still free to download. 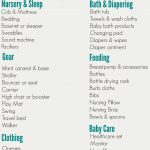 I have been so impressed with what is offered and how tailored it is per kid and age. Also on FreeTime: Kids Browser featuring tens of thousands of kid-safe websites and web videos. I’ve always been nervous to give kids a tablet because I think they are going to use it too much. We have busy days and lots of kids in our house, so I worry that I won’t do a good job controlling screen time for everyone. For example: how do I keep track of who has had how many minutes? Who used it for a game and who was reading books? FreeTime to the rescue! Learn First—parents can set daily goals for educational content, and block access to entertainment content until after educational goals are met each day. This is my favorite!!! Now remember you can set it different for each child. So my girls can’t access anything on the tablet until they have read 30 minutes on the tablet (and I set the level of books too!). Once they complete that, the other things like apps, games, etc can be accessed. 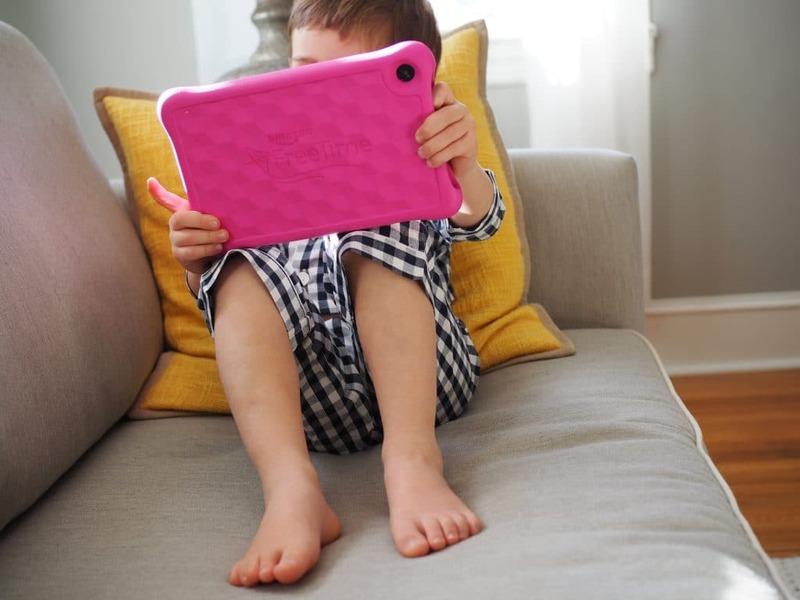 Total screen time—parents can choose a set amount of total screen time per day, after which the tablet will shut down for the day. 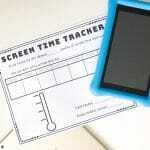 So no worrying about keeping track of each kid’s screen time. Again, this is set and tracked per kid. If they hit their limit, they can no longer access anything. Age filters—parents can adjust settings to tailor the FreeTime experience for each child and ensure the content their kids are viewing is age-appropriate for them. All 4 of my kids use the same tablet but when they log into their own screen, what FreeTime offers them is totally different. Just by me setting their age! Add or remove content—parents can add titles from their own content library into FreeTime, or choose to remove unwanted FreeTime Unlimited content. This is SO easy. Enable the web browser ONLY if you want to—parents can choose to enable or disable the kid-friendly web browser within FreeTime, and can add access to more websites, if they choose. Use of the Parent Dashboard (http://parents.amazon.com): Access to your kids’ FreeTime activity from anywhere. I like to login via my laptop and see what they did. 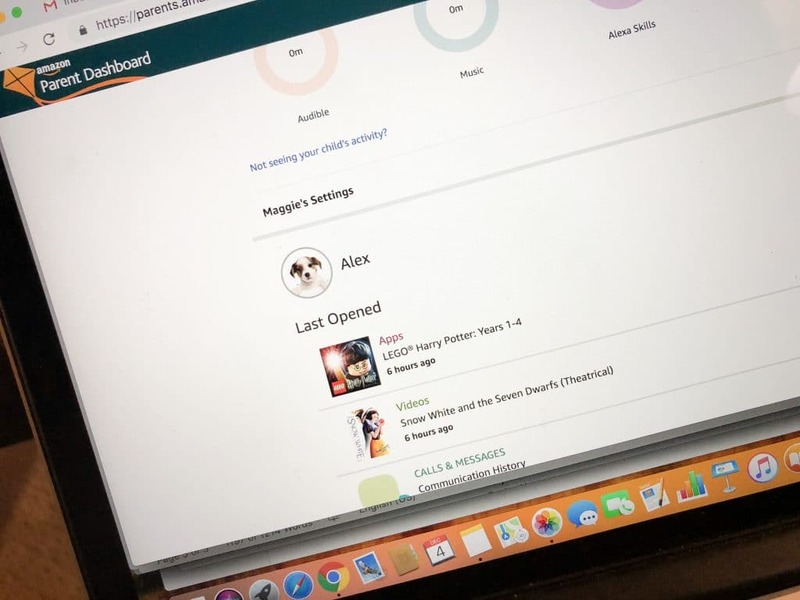 It shows me each of my kids and exactly what they used it for: How many minutes of books vs videos, what videos they watched, etc. It’s SO cool! After I first shared a photo on Instagram of a Fire Kids Edition tablet, a number of parents asked if FreeTime can be used on other devices too. They answer: yes. Visit amazon.com/freetime to purchase an Amazon FreeTime Unlimited subscription. It can be used on Fire tablets (including Fire Kids Edition tablets), Kindle e-readers, compatible Android phones and tablets, and compatible iOS phones and tablets. Families can then use the FreeTime Unlimited subscription to access FreeTime Unlimited on Alexa and Echo devices (Echo Dot Kids Edition, Echo, Echo Dot, and Echo Plus). The FreeTime Unlimited experience will vary based on the device. Remember it’s free for a year when you buy a Fire Kids Edition Tablet. Please let me know if you have any questions! We’ve been using the Fire Kids Edition tablet with our kids ages: 4, 7, 8 (and a little bit with our 2 year old). 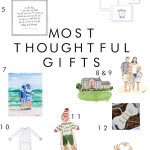 Happy holiday shopping parents!